Why is it Absolutely Necessary to use Google+? Unless you’re selling products to other photographers, it’s unlikely that your clients are on Google+. They’re most likely on Facebook with everyone else. 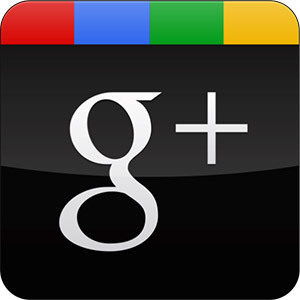 So why do you want to spend any time at all marketing your business on Google+? 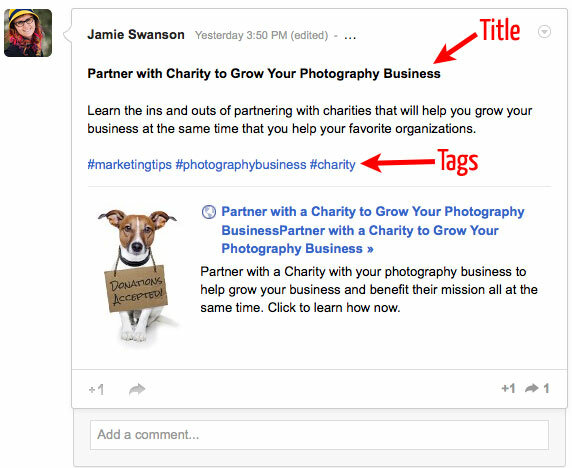 Because Google is using Google+ to affect search engine rankings, and it is a great way to get ahead of other photographers in your area who are not taking advantage of it. While some people discount the value of working on your SEO because it seems mysterious and scary, the majority of our new clients find us online when searching for us. So if your target market is going to Google to find a photographer, you want to spend some time working on this so that they find you. There’s a few things you need to set up initially that will take a bit of extra time, but once they are complete you don’t have to mess with them again. Let’s look at each one. The first thing you need to do is create a Google+ account and fill out the profile. There’s a few areas to take specific note of. There’s some evidence that right now Google+ looks at the Introduction, Employment, Education, and Places Lived sections of your profile in helping to determine rankings, so make sure that you fill those out completely. While it may be tempting to add your desired keyword, such as “Florida Wedding Photographer” over and over again in these sections, don’t go crazy. Mention it, but keep it natural and write it for people and not search engines. You won’t get any extra benefit (and will likely be penalized) for repeating something excessively for the sake of ranking well. Make sure you fill out as much of the profile as possible. You can use links in the Introduction, but use them sparingly. Make sure that if you want to show up in results when people search for a “Florida Wedding Photographer” that you make those words into a link that links to your site. 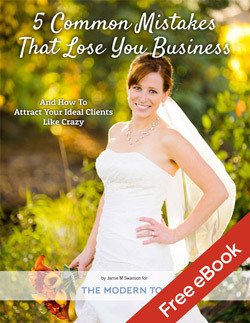 It’s absolutely essential that you have a profile picture that is eye-catching and looks good. Because you now have the ability to have that photo show up next to your search engine listing, which makes it more likely to stand out and be clicked by someone searching on Google. Setting this up will seem a bit tricky at first, but it’s really not too bad. You can get instructions for how to get your profile photo by your search engine results by clicking here. Put a +1 button on your site and encourage as many people as possible to use it. Google sees these +1 as popularity votes and will rank that post higher because of it. Woot! Local pages show up first on most searches where people include a location, so it’s important to have a Local page in order to maximize this. This used to be called “Google Places” but is now integrated with Google+. You can learn how to optimize your Google Local listing here. Now, whenever you post to your website, you’ll want to share this on Google+ on your personal profile. This tells Google that your new post exists so that it can show up in the search results as fast as possible. Not only that, but it sends signals to Google telling it what your post is about and gives it a boost in the rankings. Pretty stellar. There’s a few things you can do to optimize rankings even more that don’t take a lot of extra time. 1. Create a title for each post and put it at the top of the description in bold. To make text bold, put it between asterisks. So typing *This is your title* will end up looking like this: This is your title. Then type your description of the post below. Some photographers like to post a photo with a link to their post in the description. While this is prettier, your link is no-followed if it’s only in the description (meaning it doesn’t get any value in Google’s eyes) whereas it’s a followed link (the good kind of link) when you create a link post. While I’m not sure if this gives you any SEO value, it will give you a greater chance of having someone engage with your post, which DOES help with your rankings. Simply add the hashtag (#) before keywords in your posts. 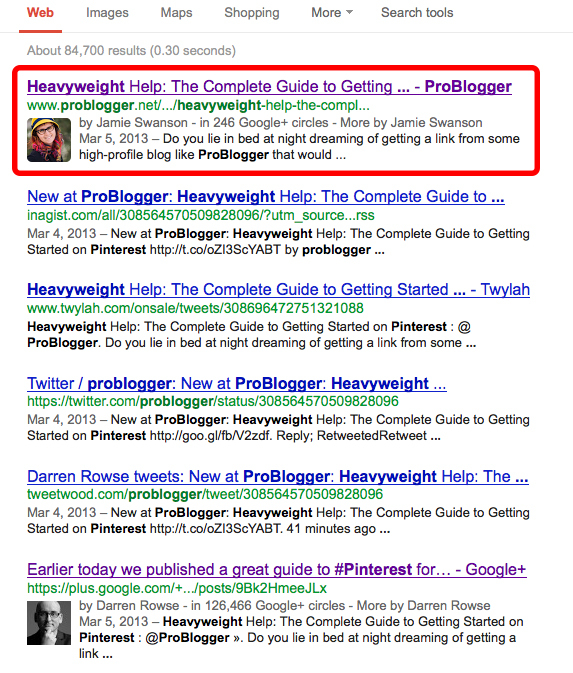 Bonus Tip: The more people who share and +1 your post, the more weight Google will give it. More on this in a moment. Google recently shared that they are going to be using something called “Author Rank” to influence results. While they didn’t tell us exactly how this will be calculated, I think it’s safe to say that that the more popular you are on Google+ and the more people +1, share, and comment on your posts, the better your author rank will be. I also think that connecting your profile to your website will help increase this as well. 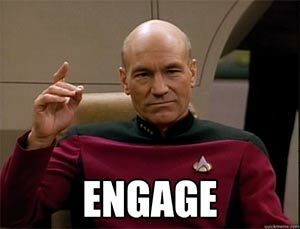 Getting good engagement on your posts is not easy. It will involve spending a bit of time on Google+ engaging with other users and getting people to add you to their circles and engage with you. I believe that the best way to grow this will be to start following a few people on Google+ and engaging with their comments by clicking the +1 button, re-sharing it on your page (that’s what the arrow button is) and commenting. Because there are fewer people there, you’re more likely to get on their radar and have them engage with you and your posts as well. This could be extremely time-consuming if you’re not careful. I recommend spending 10 minutes every time you post to your website to head over to Google+ and share your post and spend whatever time is left after that engaging with the people in your circles. It won’t take a lot of time, and it’ll help you immensely. Want to see how influential you are on Google+? Check out Circle Count. Pretty interesting. Who should you follow on Google+? I’d love it if you’d follow me and engage with my posts. Click these links to see & follow my personal profile, and you can also follow The Modern Tog on Google+ as well. People who follow both get the super duper badge of awesomeness from me. You rock! But you’ll need more people to follow than just me. So here are a few of my favorite people to follow on Google+ that I highly recommend. They are all photographers. If you really want to dig in, this post is the most comprehensive post I found that deals with Google+ and how it affects search engine rankings. Be prepared for some rather advanced SEO talk at parts, though. If you found this post helpful, please click the +1 button below and follow me on Google+.